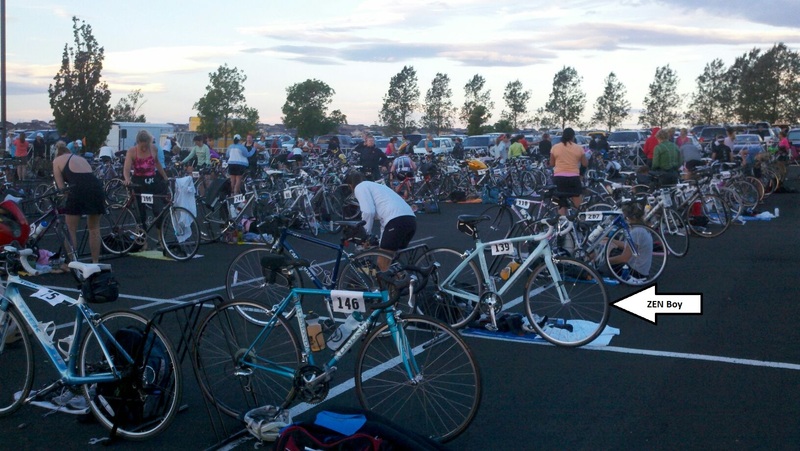 My 2nd triathlon, SheRox was in early July. This Sprint distance event included a ½ mile open water swim in the fresh, clear waters of Aurora Reservoir. Erin and Heather also competed in that event with their boyfriends and family cheering them on just like my guys #1 and #2 did for me. While I was working through a bit of a tweaked leg which resulted in a less than lightening fast run split, but my time overall was respectable putting me at 6th place in my age group (out of 34 women). 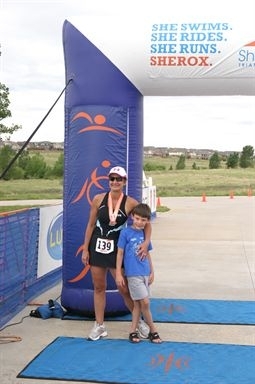 This entry was posted in It's NOT the Destination...It's the Journey and tagged Aurora Reservoir, Multi-Sports, SheRox, Sprint, triathlon. Bookmark the permalink.